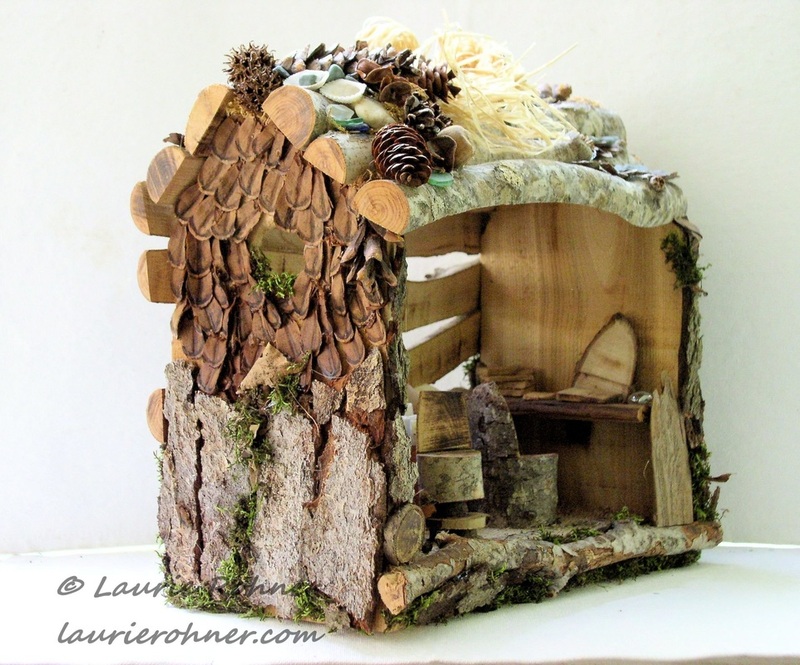 Art Studio Woodland Fairy House one of a kind custom sculpted woodland fairy houses handmade fairy sculptures by Laurie Rohner. 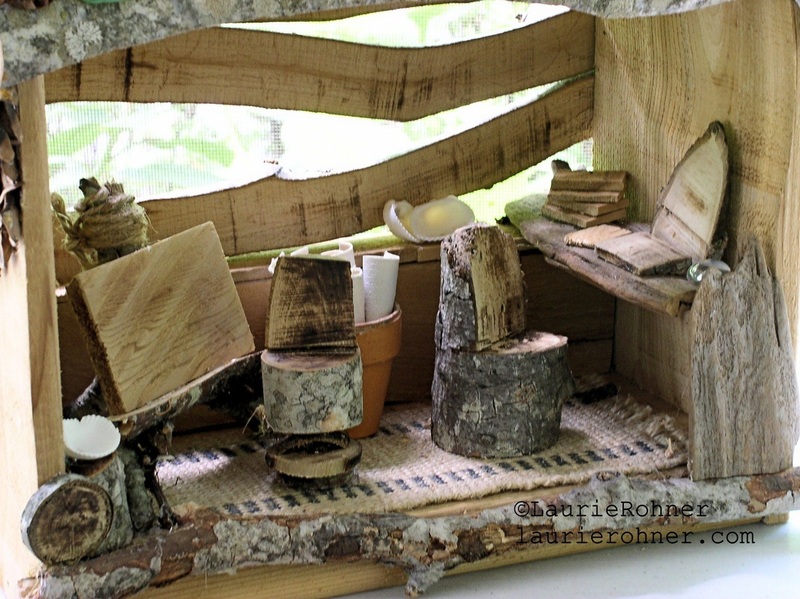 An art studio for a woodland fairy to sit and create along side you, how magical is that? 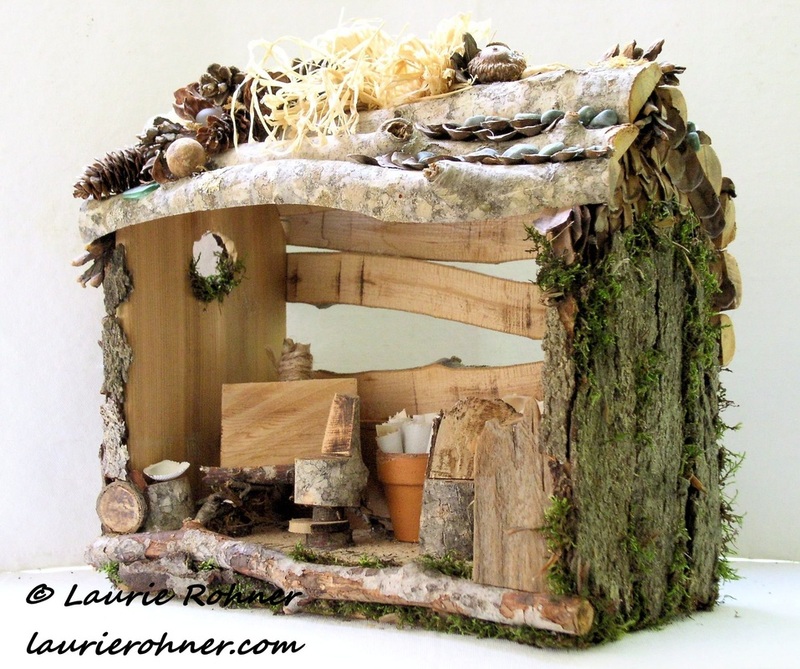 Inside there is an easel set for a fairy creation with a stool and behind are rolled up canvases. On the other side is a fairy computer and tablet with a few old fashioned books in the corner set upon a drift wood table with chair. The floor has a natural woven rug and on the back wall are cedar panels. 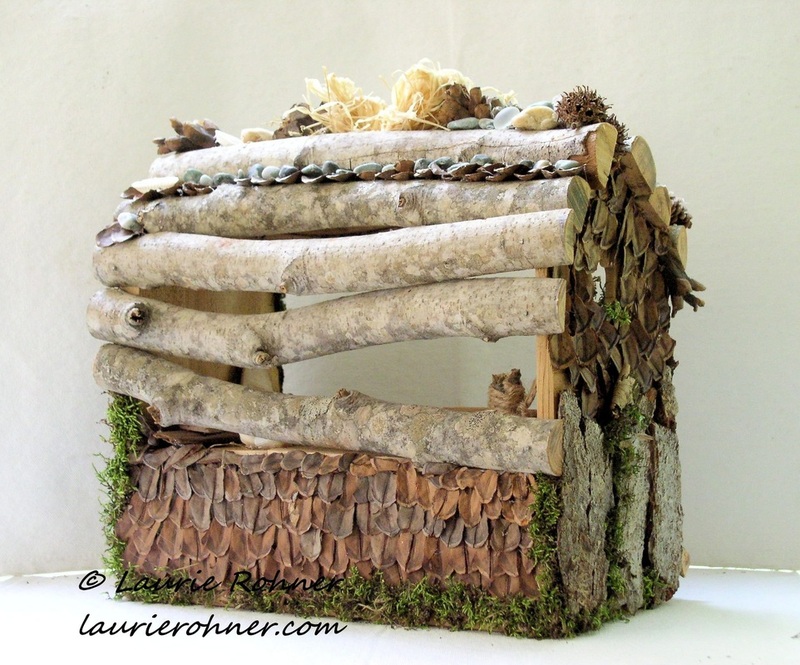 The roof is from branches and strewn across are pebbles, cones, sea glass, and raffia in a bow. The cones are separated and form shingles to help prevent the weather from coming in. The sides and back also have decorative cone shingles. I glue each and every piece you see in place by hand.